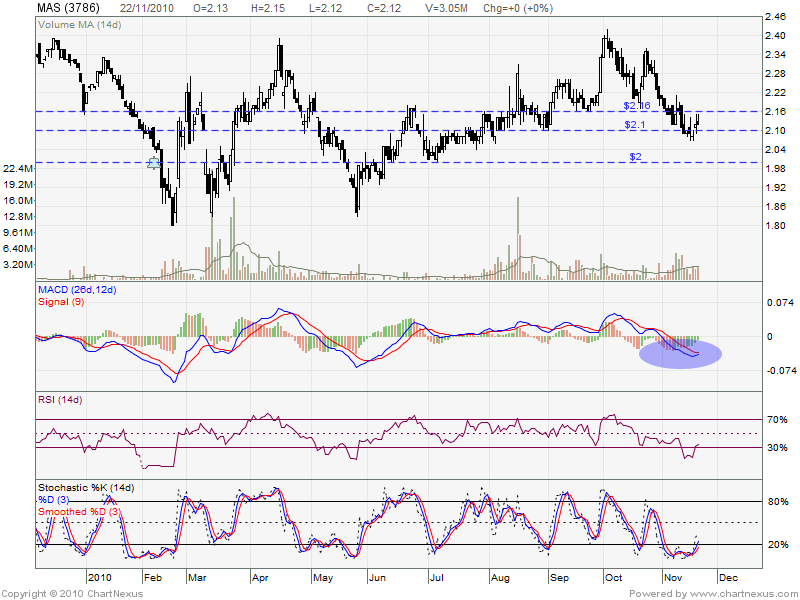 Downtrend stock, forming lower high & lower low. 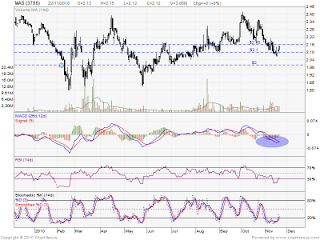 RM2.15 should be the resistant, retest 2X unable break up. MACD retrace down to negative region. Will it forming MACD bullish crossover & rebound?